With its short, pointed blade, the paring knife is the essential kitchen knife, ideal for cutting, peeling, chopping, etc. 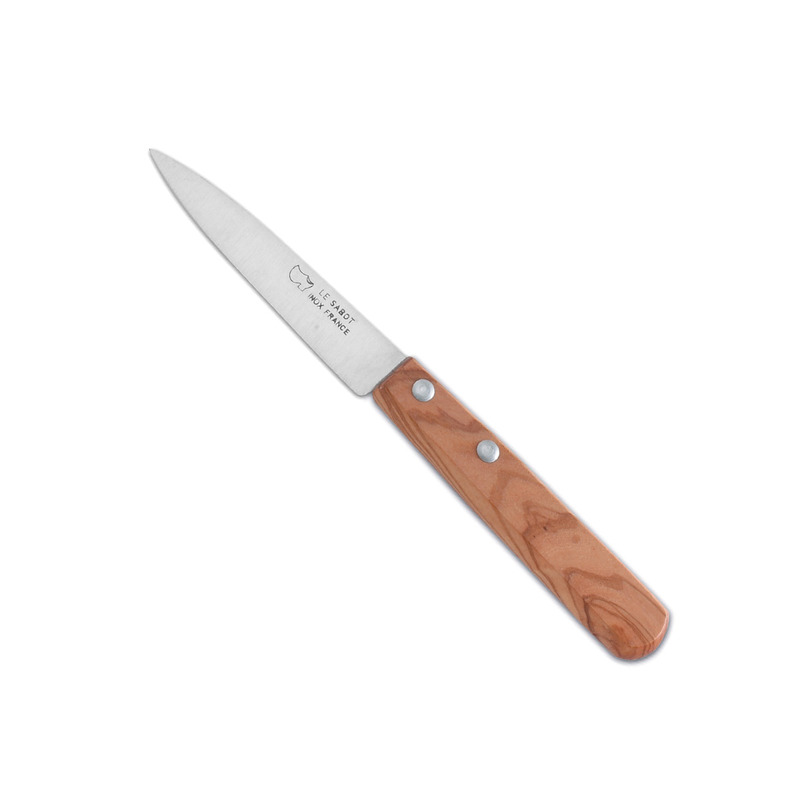 You will be delighted with our range of paring knives and their excellent cutting quality coupled with their authentic yet contemporary design. Paring knife with natural wood handle, 8-cm blade, multi-purpose knife for all types of cutting jobs, small vegetables, fruits, meats, etc. Paring knife with coloured handles and multi-purpose 8-cm blade used for all types of cutting jobs, small vegetables, fruits, meats; bird’s beak paring knife with a short, curved, 7-cm blade, ideal for scraping and peeling fruits and vegetables.